Your gift for the Clark family’s work sending and caring for Cru staff members worldwide is urgently needed and greatly appreciated! Thank You! You can give online now on Cru’s secure server. Give by direct debit from your bank account or credit card. Click this link. 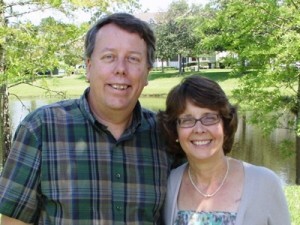 Monthly partners are needed to enable the Clarks to serve with Cru helping reach the people of Japan and the World. They serve at the World Headquarters of Cru in Orlando, Florida, leading the team that sends US staff members overseas. 9 new monthly partners who can give $100, or some other amount, each month are needed to help them reach 100% support. If you would like to join their ministry support team, simply choose a method below, and then notify the Clarks of your monthly pledge amount by email. Monthly pledges: $1800 needed now to reach 100%. One-time needs: $16000 needed by Dec 2017 for ministry expenses and travel. PRAISE! God is faithfully providing all that is needed for 2017! We thank God for His gracious provision. PRAISE! Steve had a successful surgery and is recovering clear eyesight, and the family have all experienced a healthy year. We’re delighted to see Josh growing and expanding his impact with friends in the church youth group. Ben and Quinn are now married and serving on staff with Cru in southern California. Our first granddaughter was born this year! Thank you Jesus! transfer or credit card: Simply click here to give by direct debit from your checking account or by credit card on Cru’s secure server! Give by phone: Call Cru (1-888-337-0327 toll-free) Mon-Fri 8am-5pm ET. Simply designate our account #0257817 and name. form to print and send to Cru, designating your gift for the Clarks, account #0257817. This will set up a monthly withdrawal from your bank account for whatever amount you choose. How are you supported / financed? As Cru staff members, we depend upon the consistent financial support of concerned individuals and churches to carry out our ministry with Cru. Contributions from ministry partners are our only income source. Cru sets aside no central funds for salaries or ministry expenses. Ministry partners not only give but share in the ministry by prayer and encouragement, thus helping accomplish God’s purposes. Many people in Japan and the world still have not heard who Jesus really is. By God’s enabling, we are helping send hundreds of US staff members into countries around the world helping build spiritual movements. We are providing preparation and care and resources for these staff as they serve overseas. We are also involved with Japanese language websites to bring responses to those who visit the sites from Japan. In Japan, more than 20 million Japanese have heard the gospel through the CCC staff there, Jesus film partnerships and TV showings, and through short term teams, during the last 27 years. We are praying for every Japanese to hear the truth so they may know Christ as Savior and Lord! Now at the World HQ we are sending new laborers into the harvest fields of the world so everyone may come to know someone who truly follows Jesus. Here is a brief article to help you understand how the yen rate affects your gift to missionaries in Japan, as the value of your dollar gift changes.